It's getting cold and I think it was supposed to snow this weekend. It didn't, so we made some more snowflakes to follow up on Day 70 and Day 71. 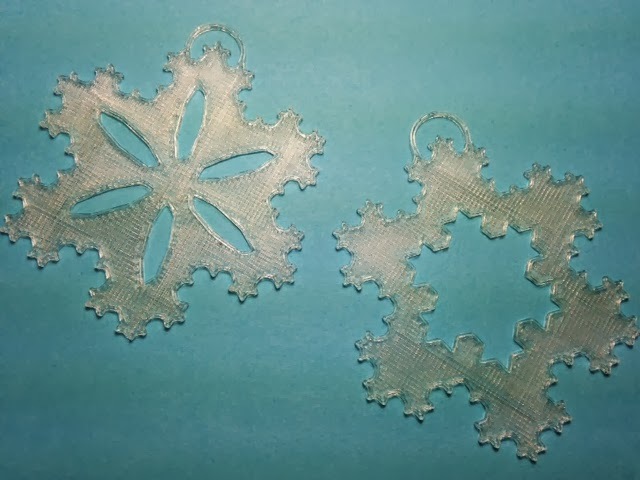 This time gescandon's mathematically-inspired Koch snowflakes on Thingiverse. Settings: MakerWare low/.3mm prints one of these snowflakes in about 6 minutes, with two layers. They are just thick enough to be sturdy and good for hanging.